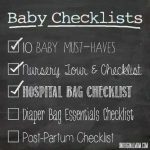 This is the start of a 5-part series on Baby Checklists: a comprehensive collection of checklists for overwhelmed moms-to-be! 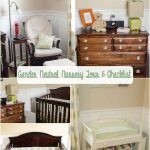 Before I had my daughter, I felt EXTREMELY overwhelmed with all of the baby products out there. I knew what “basics” I needed (diapers and wipes, furniture for the nursery, a car seat and clothes for the baby), but even with the essentials, the number of types and brands you have to choose from are enough to make anyone get stressed…let alone a pregnant woman! Beyond the essentials, it gets even more complicated. 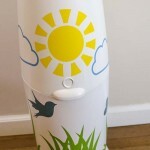 Diaper Genie, Diaper Dekor, or just a regular old trash can with a lid? Swing, bouncy seat, or both? What kind of toys? How many receiving blankets? It’s enough to make your head spin. When I was pregnant, I did a TON of reading online…searching for articles on baby and parenting websites, reading product reviews, sifting through customer reviews on Amazon…but I found there was no substitute for the advice of seasoned moms. Through their advice, I put together an enormous GoogleDoc full of checklists. I had a different tab for everything you can imagine – registry, diaper bag, hospital bag, baby names, thank you notes, nursery items, nursery organization, an email list for the birth announcement…yeah, I went a little overboard. But that’s what happens when you’re a teacher done with school in June with a baby due in mid-July who comes 10 days late. It’s too hot to leave the house and you don’t have anything scheduled besides doctor’s appointments. So you prepare, prepare some more, and over-prepare, because there is nothing else to do, and nothing else you can think about! As I was looking back through my massive GoogleDoc for a friend who is having a baby in May, I realized there was a lot of great information in these lists. If I had found a centralized source that had all of these lists when I was pregnant, it would have been much less stressful! So after some tweaking and revising (using the hindsight and the experience of having actually had a newborn less than a year ago), I am sharing my lists with you through this series! 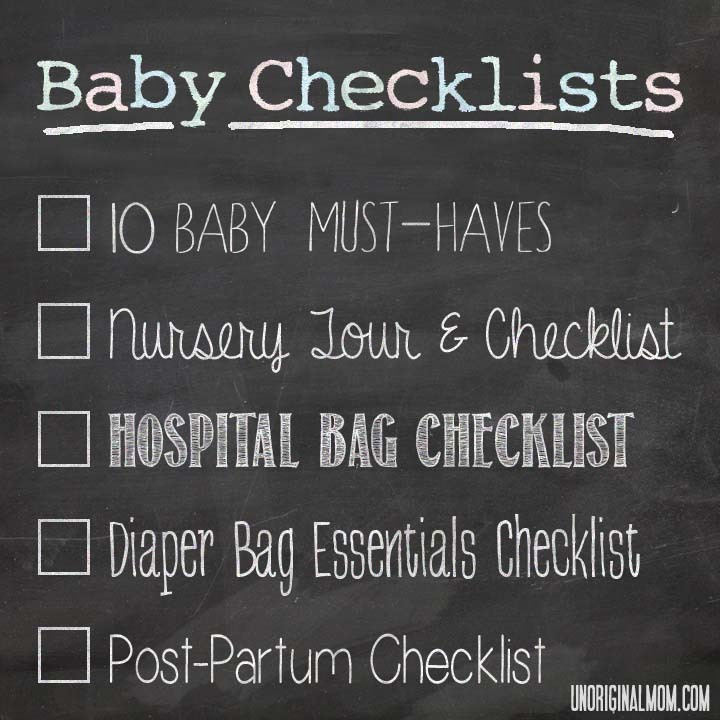 Diaper Bag Essentials Checklist – what exactly do you need in a diaper bag, besides diapers? Each post includes a printable PDF checklist, as well as my thoughts and advice on each item! Thanks! Best of luck, hope you get to start baby planning soon too!! I just found you on one site I was on,(can’t remember which one), but anyway I found you. My daughter is expecting her first baby in April, 2016. I would like to receive emails come to my email box, but the RSS Feed keeps coming up with error, stating the link is broken, or no longer available, is it my computer or is it from your end. 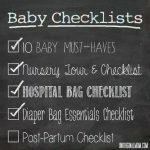 I would love to follow your site on the baby check list. please reply, to let me know if that part of your site is still available. Thanks, and congratulations on your grandbaby! !